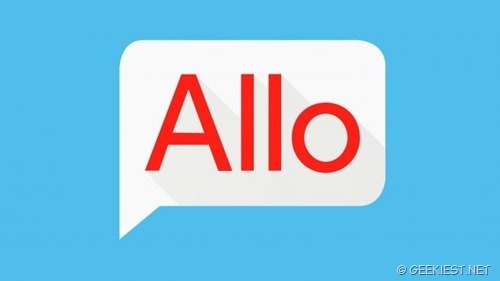 Allo and Duo–New text Text and Video chat messengers from Google. Pre-Register Now. Google is getting ready to release two new messengers Allo the text messaging application and Duo the video chat messenger. Most interesting thing is that it is not an alternative to the existing Google talk, messenger or Hangout applications. Allo and Duo will be connected to the mobile phone numbers (like WhatsApp and Viber) unlike the Hangout which was connected to the email address or Google account. The Apps will be available on the Android and IOS. The Allo allows you to adjust font size of your messages, Write on the photos you are sending. It also includes sticker messages and you will be able t download stickers. Watch the image below to watch it in action. Allo will learn from your activities and will make the messaging easier with suggestions. The Most attractive features on Allo is Google Assistant and Incognito mode, like Siri Google Assistant can help you in the chat to get information, plan your day etc.. You can watch it on action below. With Incognito mode your messages will be end to end encrypted. It also allows you to set expiry to your messages which will automatically get deleted after that. 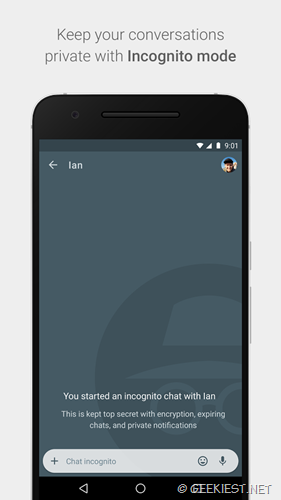 Use private notifications to hide your chats from shoulder surfers too. What do you believe ? will people start using Allo instead of WhatsApp ?